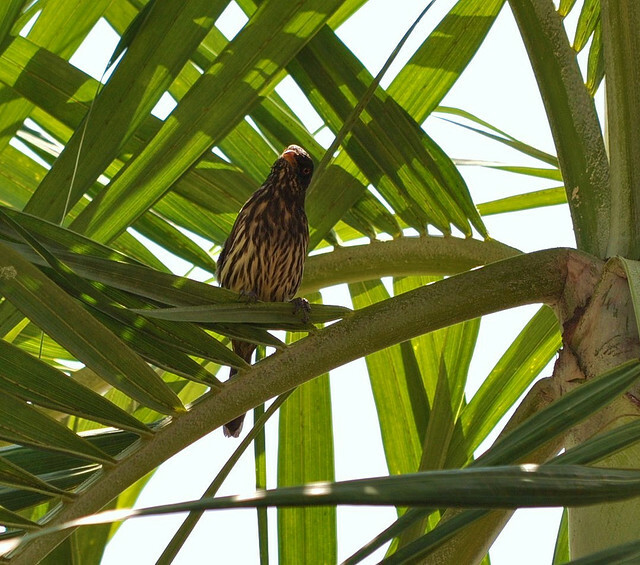 The Palmchat (Dulus dominicus) is a small, long-tailed passerine bird, the only species in the genus Dulus and the family Dulidae. It is thought to be related to the waxwings, family Bombycillidae, and is sometimes classified with that group. The name reflects its strong association with palms for feeding, roosting and nesting.